We offer racecar performance tuning for your BMW- on the street or track. 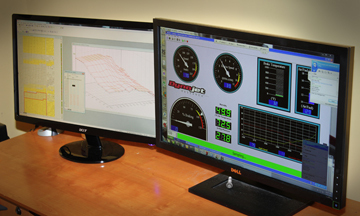 Our calibrations venture beyond tuners focused solely on peak power. We take drivability, race, conditions and street manors into account for truly customized performance . Epic Motorsports began in response to the disenchantment experienced while frequenting other performance BMW shops. Epic Motorsports wished to offer their customers a wide array of knowledge and attention to detail, as well as provide the service and results we ourselves would expect. Since our infancy, Epic Motorsports has been instrumental in assisting others achieve their performance goals. Our six National Championships demonstrate the knowledge, commitment, and attention to detail we bring to our customers.